Exfoliation is the key to keeping your skin silky soft and scale-free. Pearl Powder with its Microscopic spheres of seawater pearls gently exfoliates the topmost layers of skin to reveal baby-like, glowing skin underneath. 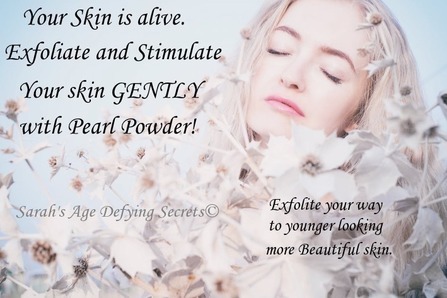 Pearl Powder has been used in the Orient for over 1000's of years and Chinese Emperors and Empresses used Pearl Powder to Maintain Youthful Skin. Now you can get the same Skin Care Treatment as received by Chinese Emperors and Empresses in the Privacy of your Own Home! Exfoliation has three benefits - the first is it removes the layer of dead skin cell which makes your skin look cleaner, clearer and makes way for your creams, serums and moisturizer to penetrate. Second - exfoliation stimulates cell regeneration. Encouraging your body to increase the speed of development of 'new fresh and shiny' skin cells - which means - your skin looks even smoother, clearer and glowing. Lastly, it detoxifies while gently sloughing off acccumlated wasted skin that can harbor or promote bacteria, inflammation, redness or blemishes. Exfoliation gives you lovely soft babylike touchable skin. What Can Pearl Powder Do For Me? The “Queen” of all Beauty Herbals, instantly sheds off dead cells without peeling the skin. It brightens and evens the skin tone instantly. 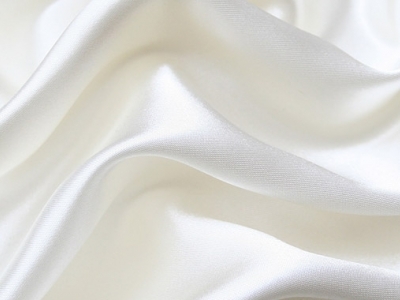 The specially selected pearls detoxify the skin for a clean, clear and lustrous look. It participates in the skin’s renewal process and acts as a natural calming agent for irritated skin. While instantly enhancing the skin from the outside, unlike other exfoliators, it works to prevent and address the root cause for sustained benefits. Pearl Powder gently polishes the skin and removes and clean obstacles that clog and enlarge pores. 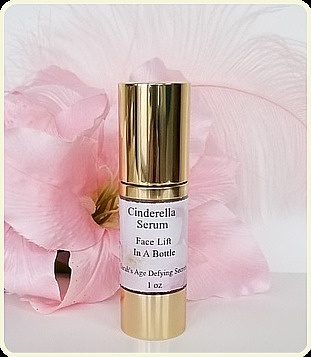 It will reduce fine lines and wrinkles, help fight acne and improve acne scarring, even skin tone, eliminate white and black heads, minimize large pores and revitalize dull skin. Exfoliating helps skin regeneration by increasing its elasticity and collagen production. 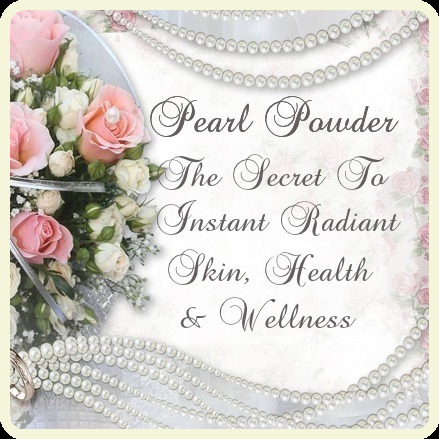 Pearl Powder revives and renews your skin making it soft, smooth and natural. Cleans dirt, oil and makeup and kills bacteria for cleaner, younger looking skin. Your skin will feel vibrant and healthy and you will notice an immediate difference in your softer, smoother skin. Pearl Powder removes the dead skin that acts as a barrier to growth which preventing pores from expelling bacteria and keeps moisturizers and serums from penetrating the skin. Pearl Powder is the most gentle and effective exfoliate on the market today. Mix to make a paste. Apply to face and neck and massage into skin in circular motions. let sit for 15-20 minutes. Wash off with warm water. Let air dry. Do this once or twice a week, and you can have a much younger looking face continuously. Mix 1 Tbsp Pearl Powder with lavender essential oil and/or your favorite massage oil (olive, jojoba, grapeseed, almond, etc.) to make a paste. Scrub on your face in a circular motion, let sit for 15 minuets, rinse, wash as usual. back, buttocks, legs, and arms also need exfoliation. 1. 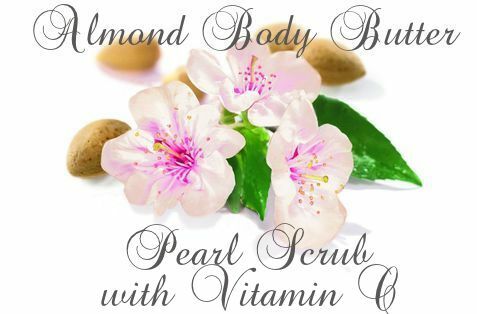 Place Pearl Powder, almond oil and essential oil into a bowl. 2. Pierce the Vitamin E capsules and squeeze them into the bowl. 3. Add Shea Butter or Coconut Butter. Worried about the wrinkles on your face? Well, you don’t need to get any chemical or surgical treatments to get rid of it. 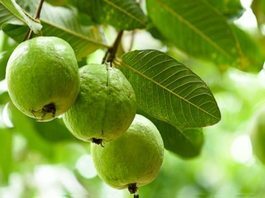 An easy and natural remedy for this is pearl powder and guava leaves. This makes the Ideal scrub. Combining these two power antioxidants together boosts skin cell reproduction, thus diminishes wrinkles and aging skin. Finely Mash guava leaves (I use a coffe grinder to a powder). Put 1/2 tsp powdered leaves into small bowl or cup. Add 1/2 tsp pearl powder and enough water to make a paste. Apply the mixture to your face and neck, and let sit for 15-20 minuets. Wash off with warm water, let air dry. Be careful not to get any into your eyes. Repeat twice a week. Lightly melt shea butter in a round bowl and whip into a creamy consistency. You can use a fork or whisk to do this. Add Pearl Powder, vitamin C and olive oils and mix well until mixture is well blended. Stir in drops of essential oils then transfer into a Mason jar and cover. To use, massage mixture on to skin with hands, using gentle circular motions while ensuring you cover the whole face and/or body. Rinse off thoroughly with warm water. After exfoliation, the skin will glow, look healthy, and feel radiant. After exfoliating with Pearl Powder the results will be a bright, luminous tone, even texture, and a plump, healthy, and youthful appearance. Years will feel removed from your face and your make up will go on smooth! 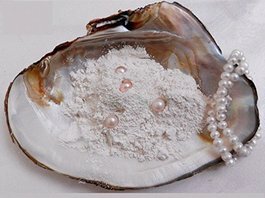 Pearl Powder is good for all skin types and works to normalize skin by allowing skin to detoxify, removing dead skin and by removing this unwanted lining it lifts the weight on the facial skin (this weight on the face causes skin to sag and droop which in turn causes excess wrinkles). Always remember. Consistancy is the Key. If you don't use it regurlarly, at least 1 to 2 times a week, you cannot expect for it to work properly for you.